Fake Shark Real Zombie have made some slightly jarring yet amazing music over the last few years. Liar, their most recent album, sees them take a massive step toward making more listenable songs; stemming from either a desire to entertain larger crowds or possibly just the act of growing up musically. 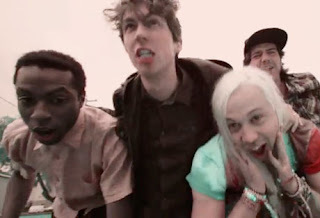 The new material is closer to the poppy vein of Hot Hot Heat than crazier contemporaries Mindless Self Indulgence, who seemed to be a bigger influence for FSRZ until now.